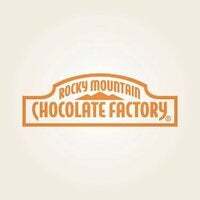 Rocky Mountain Chocolate Factory is ranked #345 in the Franchise 500! On Memorial Day Weekend, 1981, Franklin Crail wasn't on vacation; instead, he was opening the doors to a new business. That weekend, residents of Durango, Colorado, got the world's first taste of a Rocky Mountain Chocolate Factory. Today, visitors to any of the company's more than 200 U.S. locations can watch fudge being made, bite into fresh caramel apples, and purchase a variety of candies and chocolates.